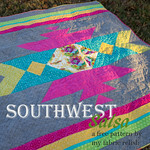 my fabric relish: Giveaway Day, Hurray! Since I had a very special post this morning (giveaway there too ;), I couldn't post my giveaway for Sew Mama Sew's Giveaway Day until now. So, here I am...better late than never! I was lucky enough to end up with 2 copies of S is for Stitch. I actually won one copy and then received a copy as a gift the exact same week. So instead of hurting anyone's feelings, I decided to give one copy away when a good oppurtunity arrived. Well, it has arrived! Yay! 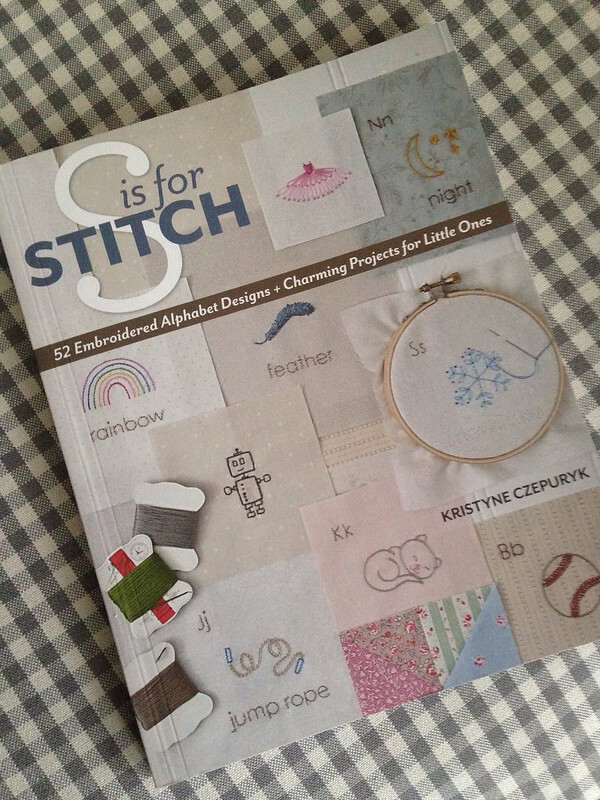 This is a super fun stitching book for anyone, even beginners, and has some adorable projects and patterns! 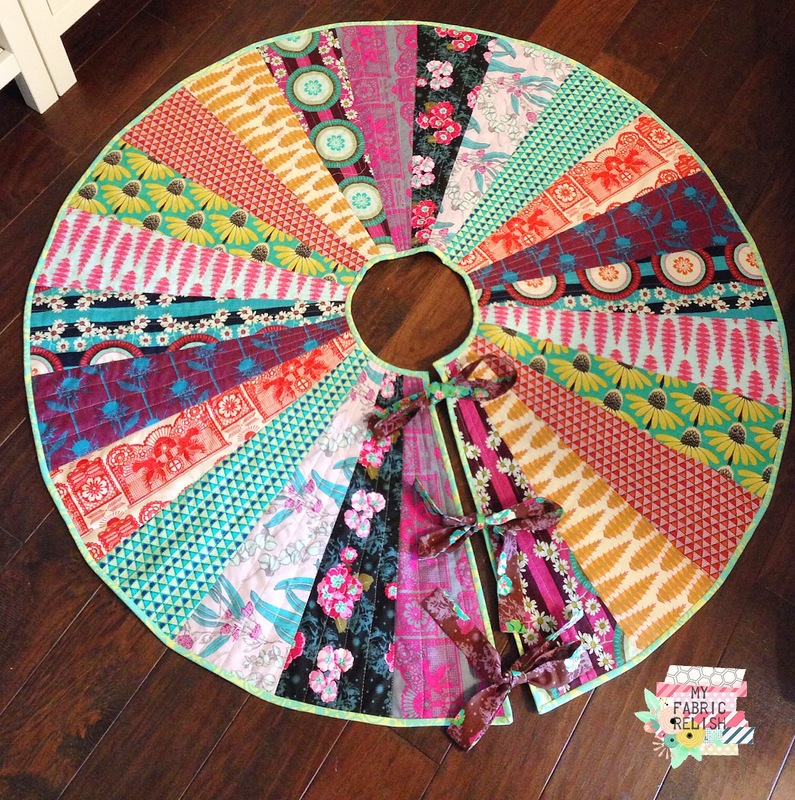 To enter, comment and tell me the first thing you have ever sewn? For a bonus entry, you can follow me if you like and let me know as an additional comment. International entries welcomed! Good luck, new and old readers! I believe the first thing that I ever sewed was a skirt. I could be wrong though, I started sewing as a child. My first quilted item was a pillow. The first thing...hmmm....I think it was cross-stitch as a child. Probably a Christmas ornament. The first thing I ever sewed was a maternity top for my close friend who was pregnant with her first, my now adult Godson! A skirt.I started sewing clothes before to begin sew quilts. The first thing I ever made was a skirt for my teddy bear made out of an old embroidered, and crocheted pillowcase which was worn out when I was 3. A letter shaped pillow for a school project. A tee shirt in home ec. I follow via email. I would love this book!!!!! The first thing I sewed was a stuffed goldfish. I was in secondary school at the time, in home economics class. It was awful!! The first thing I ever made with a sewing machine or sewing for that matter was a patchwork tote for my sister. She seen on online a fell in love with it, I told her I would buy it for her birthday but instead I made it for her! She still wears every now and again! I follow your blog via blog lovin! the first thing I ever sewed were clothes for my Barbies. The first thing I ever sewed was an apron. The first thing I ever sewed was a stuffed knitted cat when I was in 3rd grade. Love the book! Thank you for the chance! I am now a follower... nice to 'meet' you! The first thing I ever sewed was a halloween costume when I was 10. It was bad, but I was proud of it at the time. Thanks for the giveaway! A bedspread (not quilt) for my college dorm room. i don't remember the first thing I ever sewed, probably some pjs. I made a shirt and pair of capris in home ec in Jr High. I started off with cross stitch, then embroidery, but my first sewn item was a mini log cabin quilt for my grandma. I think the first thing was a pillow cover - just one fabric. The first thing I ever sewed was a fabric book 2hen I was 8 years old. A tote in home ec in middle school. I still have it! It's lasted!! I made flannel sleep shorts in home ec. Thanks! I took sewing in school and the first thing we made was an apron. I have made plenty of aprons in my lifetime. Thanks.. It's been sooooo long ago that I have forgotten. Probably some kind of clothing as that is what I liked to sew earlier. Wow,,,a loooonnnggg time ago,,but I think it was an apron! I'm an email follower. Thanks for the chance to win. Just started sewing last year, I was given some fabric and started to make a rail fence quilt, but it sits in a drawer now, I need to do something with it. I made some doll clothes with my grandma, but I think she probably did more of the sewing that I did. My mom taught me to sew as a child. I just started to explore embroidery and love all the great details you can make. I used to make my Barbie jumpers when I was little. I could make them by hand & use snaps for the straps & back. The first thing I ever sewed was a business card holder... a Christmas gift for my mom! I started out sewing doll clothes when I was a kid - they had such tiny seams! The first thing I ever sewed was a skirt and shirt in sewing class in 5th grade. I am forever grateful to that teacher for taking the time to teach me what would end up being my lifetime hobby! I cannot remember what I had for breakfast. But I do remember sewing a heart patch on a pair of shorts as a teen. I follow via Bloglovin'. Thanks for the chance to win! The first thing I ever sewed was in 7th grade home ec class. We made skirts and I don't remember ever wearing mine. Messed up, following with Bloglovin. Thanks for the opportunity to enter your giveaway. I LOVE this book of projects! I used to 'sew' barbie clothes as a young girl. I've come a long way! I think I started with dresses for my dolls with my mom's help. Thanks! The first thing I remember sewing was maternity clothes--with the help of my late Grandmother. I have embroidered for decades. Since the age of 6. This book looks awesome! The first thing that I ever sewed at the machine was a denim jumper for myself in the late 70's. The first thing I ever sewed (or ever tried to sew) was barbie clothes - I remember trying to make a skirt by making a tube out of leftover denim and stitching an elastic into the top, but it was completely shapeless and I don't think it went over the barbie's hips, because I think I cut the tube to the size of her waist. My first project was embroidering a kitten on a pillowcase when I was twelve,,,,and I fell in love with needle and thread !! This is a wonderful book, thank you for the chance. It would have been something for my Barbies. Thanks for the chance! The first thing I ever made was a drawstring bag when I was probably about 7 - I was so proud!! 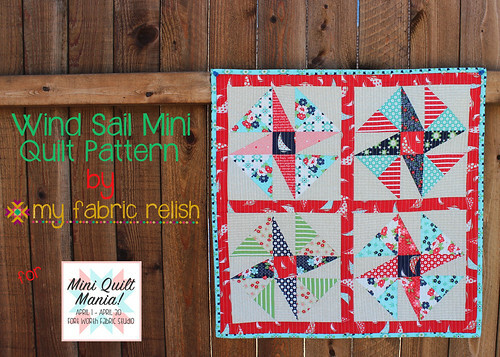 First thing I ever sewed was Fairyfacedesigns across the sea quiltalong. Oh this is on my christmas list!!! I sewed a drawstring bag when I was very young - and then didn't sew again for over 20 years! The first thing I ever sewed was clothes for my dolls! 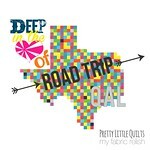 I follow your blog via bloglovin' - I would love this book! The first thing I ever sewed was doll clothes when I was very young. A draft guard in the shape of a Dachshund. I was in grade 5 or 6 at the time. I sewed a denim tote bag at a class my mom taught when I was probably 8 or so. The first thing I've sewn was a simple patchwork pillow. Thank you for the giveaway! And I already follow you via Feedly. I'd love this magazine. The first thing I stitched was making my own pattern at cross stitc in primary school! I still adore cross stitch! The first thing I ever sewed were curtains, and they were AWFUL lol! Thanks for the chance to win! a pencil case .. hoping to win. I began to sew nearly 2 years ago. The first thing I made was a tote bag embellished with an EPP dresden. 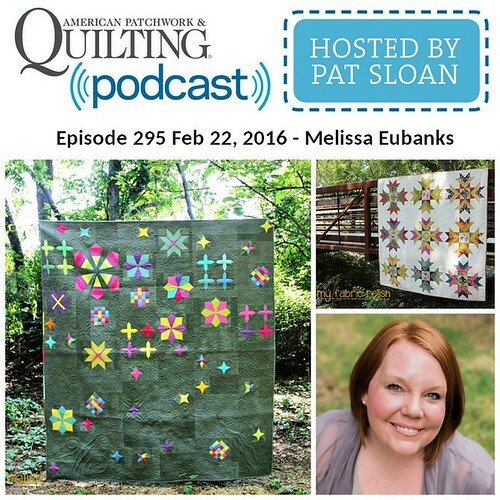 I am now fairly addicted to EPP. Thanks for a great giveaway. Shorts for my Barbie out of my socks...I was about 8. Thank you! Gosh Melissa that is a good question. I think I did embroidery with my sister before I sewed on a machine. When I was a teenager I worked in a garment sewing shop... So probably clothes... But then maybe I made an apron in Home Economics. Great memories. Thanks so much! The first thing I ever sewed was clothes for my dolls. Thank you!!! I made a pillow in my home economics class in 7th grade! I am a follower through email! HI, A LITTLE SKIRT YEARS AGO, THAT PROBABLY HUNG WONKY>LOL! Ahem. Barbie clothes out of old socks. Sounds delightful, doesn't it. So embarrassing...a half slip in home ec class...yeah, look that up! My aunt helped me sew a bag. It was fun one on one grownup time for me. I just learned to embroider with a little kit from Joann's. I am really liking it! Thanks for the giveaway! First thing I ever sewed was a primitive stuffed bunny rabbit. Thanks for the giveaway! My first project was in home ec--I made a giant purple hawaiian print donut. The first thing I ever sewed was a pair of pajama shorts in 9th grade home ec class. They turned out terrible! The first thing I sewed because I wanted to is a table runner I made two years ago. I still use it all the time! First thing I made was in 7th grade home ec. a skirt with an elastic waistband. The first thing I made was when I was 5yrs. old - I made it in school - a felt hand stitched dove (which I added a rooster comb to!) it was an ornament for my parents and it hangs on my tree now - 50 yrs later! 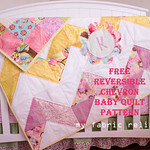 I jumped right in and made a lap sized quilt about three years ago with my own pattern! I am a follower via The Old Reader! We had to sew in school but I do not remember. After the first was a doll for my son and he still has her. My very first sewing project was a gingham apron that we were required to make in Home Economics. Thanks for the chance to win the cute book! I made a skirt in home ec. a granny skirt way back in the day...junior high school! Back when I was about 10, I sewed a jumper out of some blue twill-ish fabric. The pockets had little bows on them that I thought were absolutely adorable. The first thing I sewed was a rag bag tote. Thanks for the giveaway. I follow with RSS Feeds. Thanks for the chance! Curtains for my new apartment when I turned 18! Barbie clothes on my grandma's sewing machine when I was in grade school. I made a white blouse in 8th grade home-ec 50 years ago. I think the first thing I sewed was an apron when I was in middle school. clothes for my barbie when I was around 6 years old. a baby quilt for my son in red white and blue with a baseball theme. He is turning 6 on the 22nd and it's in his room:) Many boo boos in that quilt,but a lot of love too! Clothes for Barbie and Skipper and a doll quilt! Thanks for the chance. My first projects are shrouded in the mists of time. I do remember making skirts and blouses for school in junior high. Thanks. The first thing I made was a triangle halter top in 4H. Wow. i started sewing by fixing & embelishing barbie and doll clothes. The first thing I ever made was a patchwork pillow with my grandmother. I just found it hiding in the attic. Looks like she helped quite a bit. I remember making it and I loved spending time with her. I made a Mother's Day apron when I was in Grade 2, though I don't think we actually sewed the apron (there were certainly no sewing machines in the classroom) but it had a cross stitch along the bottom hem. My Mum treasured it but I think it might have been too 'special' to wear. Thanks for the great giveaway. I'm a new follower on Bloglovin, thanks! the first thing I have ever sewn was a skirt in home ec. class many years ago. I would rather sew quilts. :0) Merry Christmas! The first thing I have ever sewn was some barbie doll clothes. I am a new follower via bloglovin'. The first thing I ever sewed was a set of 4 placemats. They are very far from perfect but I still have them! Thank you for this great giveaway! A dirndl skirt for me aged around 9! A skirt with an elastic waist. my first project was an embroidered design on a dishcloth as a preteen. In high school I sewed a bunch (10, I think) of blankets to donate to Project Linus to earn my Girl Scout Gold Award. Ohhhh, I just remembered, I used to make hair scrunchies in middle school, too, haha! I sewed a doll for a grade 5 competition (I was 10 yrs old I think). Mine was awesome but I didn't win! THe first thing I made was a baby blanket! What a sweet book! I used to make Barbie clothes back in the day. The first thing I ever sewed was a drawstring bag. It looked a little pathetic but I was still proud :) Thanks for the giveaway! First thing ever? Probably a pillow! The first thing was a dress for my Barbie doll. oh gosh, first thing i ever sewed, probably a pair of pj pants with my grandma when i was still in elementary school. haven't stopped sewing since!